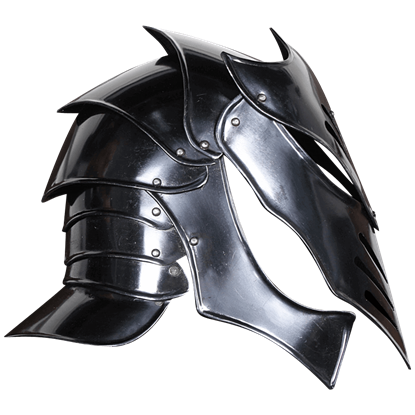 Do not let the name fool you into thinking that this Dark Knight Great Helm can only be worn by villains, because that is just not true. 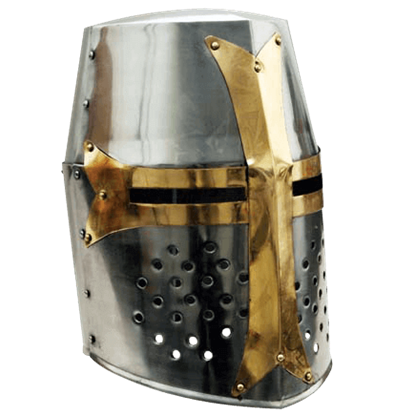 In fact, this helmet is a good piece of protection for good and evil alike, thanks to its hardy design. Plus, the iconic style does not hurt a knights look one bit, either. 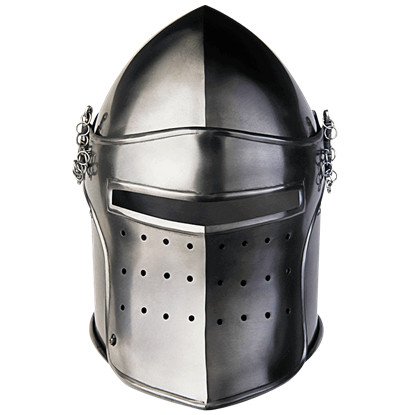 Crafted entirely from fine 18 gauge mild steel, this helmet possesses a light yet effective make that is perfectly suited for LARPing and light combat, as well as for general costume use, while its fine look makes it a great display piece, too. 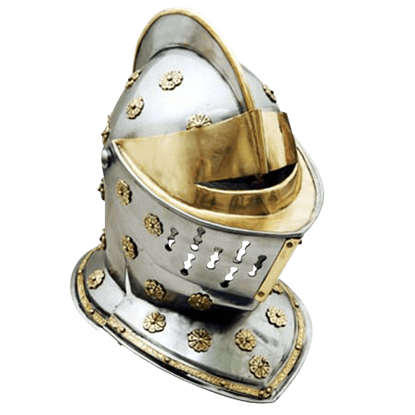 The helmet reflects the classic design of the great helm, including a cylindrical pot shape and a gently rounded top, as well as a large face-mask front that features oblong slots for greater ventilation on the mask. Brass accents form a cross about the helms eyelets, adding greater detail and decoration to the piece, as well. 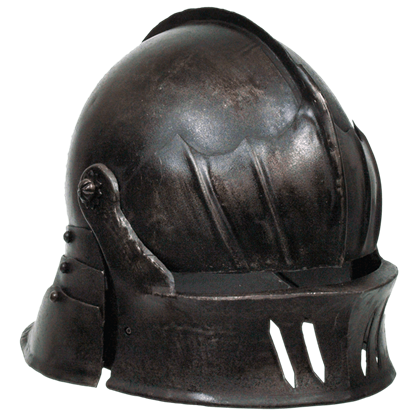 The helmet is offered in one size. 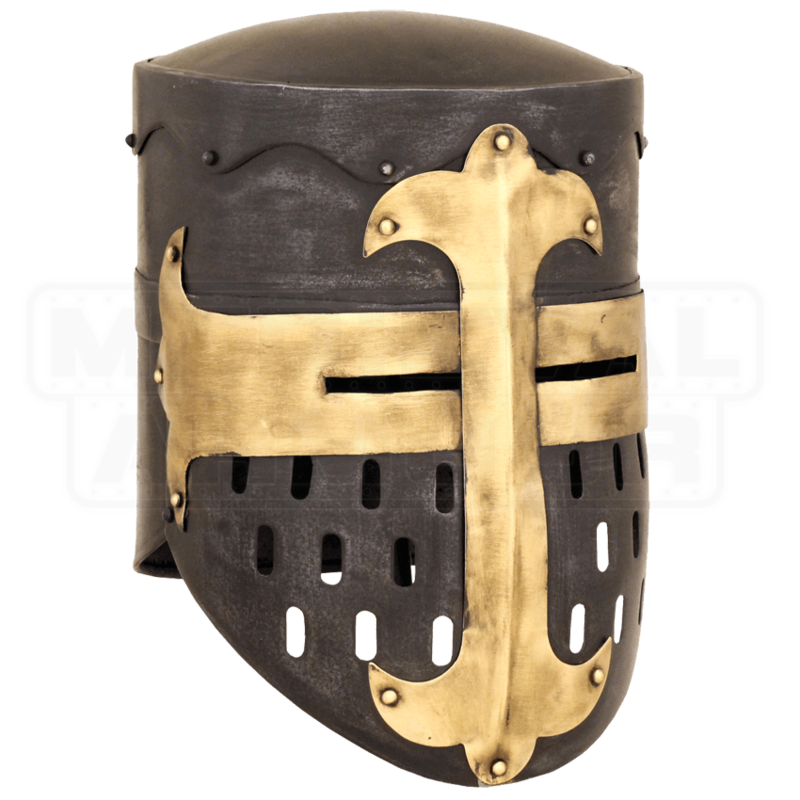 It is an altogether fine representation of the traditional crusaders great helm, and that makes this Dark Knight Great Helm a vital part of any crusader or knights armored look.